The continuing education courses provided below contain the training water operators in Hawaii need to succeed at their profession. While these courses give water operators valuable knowledge, they also provide the continuing education units (CEUs) that water operators will need to renew their license. What are the CE requirements to renew a Hawaii water operator certificate? To renew a Hawaii water operator certificate you need to complete training courses approved by the Hawaii State Department of Health for the required number of CEU's needed to renew the designated grade of certificate held. Our online courses listed below are all approved by the Hawaii State Department of Health to help you meet your continuing education needs and renew your operator certificate(s). Save on our 1.6 CEU (16 Hour) CE Package. Includes: Surface Water (3 Hours), Coagulation (3 Hours), Sedimentation (3 Hours), Corrosion (3 Hours), Oxidation (2 Hours) and Membrane Processes (2 Hours). Save on our .8 (8 Hour) CE Package. Includes: Surface Water (3 Hours), Corrosion (3 Hours), and Membrane Processes (2 Hours). This course will fulfill 2.5 of your required hours for Hawaii water operators. 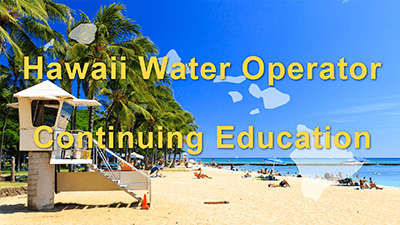 This course will fulfill 2 of your required hours for Hawaii water operators. 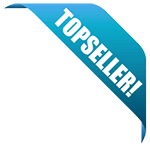 Should you have any questions, you may call me at 808-586-4258.